If you’re suffering with low back pain you are not alone. 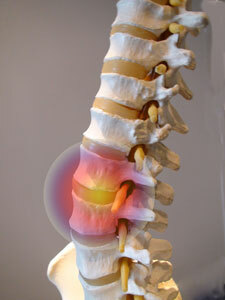 You may have a low back alignment problem if you have low back, hip, buttock or leg pain, also known as Sciatica. There are numerous possible causes of low back pain, and Chiropractors are recognised as experts in determining the cause (diagnosing) of your pain. Don’t get caught in the guessing game of why you’re in pain, get a trained professional who specialises in spinal health with 8 years of training to show you why you’re in pain and how to fix it. Government sponsored research shows that 80% of the population suffers from low back pain due to spinal misalignment at least once in their lifetime! This same government research also clearly demonstrates that Chiropractic Care is by far the most effective and least expensive form of care for back pain when compared to all other treatments, including medicine! Low back alignment problems lead to pinched nerves which can cause pain, stiffness, achiness, weakness, muscle spasms or numbness felt in your low back, hips, buttocks, or down the back of your leg into the foot (sciatica). The most common cause for any of the above possible symptoms is an alignment problem where the vertebra shift out of their normal position and become stuck that way. Once this happens, one of the sensitive nerves passing between your vertebrae (bones of your spine) can become compressed or pinched. Usually the nerve is only pinched intermittently as it cycles through various stages of swelling and inflammation, causing the common symptoms of pain or numbness to come, go and sometimes move around in an unpredictable manner. The most common erroneous assumption people make about low back alignment problems is that it is just a “pulled muscle.” While it`s true that if you have a low back alignment problem your muscles will be tight as they try to compensate for the pressure being put on the nerves, however pulled muscles are RARELY the CAUSE of the problem. Not convinced? consider this… you’ve pulled a muscle in your arm, you know how you did it (lifting or pushing something heavy), you take it easy for a while, the pain eases off and does not return. What about your sore back? maybe you lifted something a bit heavy, or you may not even remember doing anything out of usual. You rested, the pain may have eased a bit but after a while, perhaps a few days later the pain has returned. The point is pulled muscles often heal, and tend not to linger, unlike alignment problems which will cause pain to come and go. Pulled muscles heal with rest, pinched nerves do not! If you are tired of wondering how you`re going to feel on any given day, or are unsure if your back pain is going to stop you from doing the things you want to be doing in life, then give us the opportunity to help you. Let me assure you we are very dedicated to getting you back to normal using research proven safe, simple, effective Chiropractic adjustments to help you as we have for thousands of others who used to have the same problem with their spine. After over 15 years of chiropractic practice I can honestly say that the biggest barrier between the way you feel now and being pain free is just picking up the phone and calling us, or clicking on the contact link below. Think it’s a good idea to live with the pain? Remember that pain is an important signal used by all the nerves of your body when necessary, to tell your brain that something is wrong and in need of attention! Pain serves no purpose other than to help preserve and protect your body. When you ignore pain signals coming from your spine over the long term you run the risk of accelerated wear and tear on your spine, and developing premature Arthritis. Our clients are often surprised at how quickly and inexpensively we can get them feeling their best again.